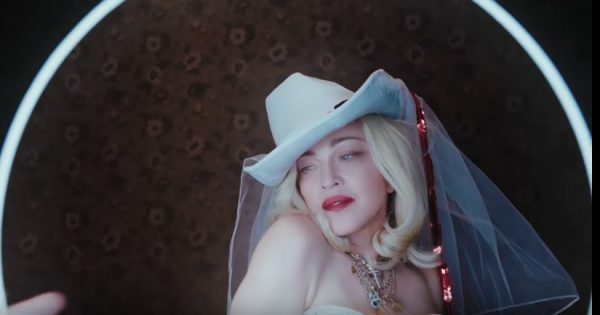 The 60-year-old music matriarch trumpeted her return with a teaser video explaining who Madame X is – which happens to be a little bit of everyone. For the venture (which clearly has a pronounced visual component), she’s re-teamed with heavyweight director Steven Klein. No word on a release date as at writing, however it’s been confirmed that Madge will be performing at the 2019 Eurovision Song Contest. 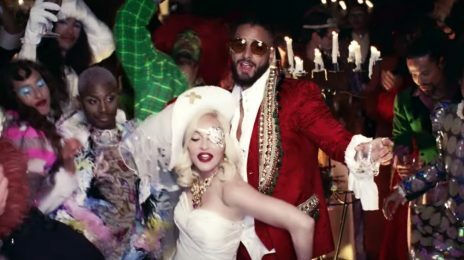 ‘Madame X’ follows 2015’s ‘Rebel Heart’, which spurned the singles ‘Living For Love,’ ‘Ghosttown,’ and ‘B*tch I’m Madonna.’ It also delivered a like-title tour; a blockbuster at the box office, the trek generated $169 million. Queen of Reinvention is coming!! The QUEEN FOREVER AND EVER!!! Only M would have the nerve to announce a new era on a Sunday morning during Coachella, but that’s EXACTLY what she did! We know where she got the X from obviously madonna had no more ideas lol. I love madonna also. What better way then to take it from someone else. We no madonna was never original in some ways and she did steal from other artist back in the day. Chile cheese, the only thing I thought about was Malcolm X…but you tried it tho! She is going to wipe X-tina legacy. Madame ❌ era will leave X-tina fans with ⭕️!!! Lol did i say anything that isn’t proven as facts about madonna I love her like any other gay man. But I’m not blinded like most fans. At least i know xtina has vocals and would sing miles around madonna any day of the week. But I can’t knock madonna down cause she is the queen. But xtina is in her own lane many times imitated, but never duplicated Christina Aguilera can’t be replaced. I’m f****** dead ariana lmfao 😂😂😂🤣🤣🤣🤣🤣. When ariana can have a song that will be remembered for ever and ever like xtina sorry. Arianas catalogue of music doesn’t comapre to xtina. Honey we ain’t seething cause madonna is coming. Just like. Madonna xtina is already a star in the gay community and a legend so try again. But we know who has the vocals. Im fine with madonna being back, but xtina is her own lane and her music and singing speaks for itself enough said. I dont think xtina was ever in it for money grammys tours. She was this for her passion etc. This is genius. What a statement. Embracing everyone, but solely Madonna. Hint of new music. Intelligent nod to movies gone by, amazing styling, s*** and mature. She’s evolved. Love it. Jeez q***** calm the f down. No one is dissing Christina. I adore her. But honestly comparing her to Madonna is like comparing a match to nuclear energy. No body would even consider comparing Riri to Whitney or Janet so stop comparing Chris to a legend like Madonna. Bring on the Madame X Queen bring it on!!!!!!!!! Madonna ended the 2000s as the best-selling physical singles artist of the decade in the United States. She was announced as the highest ranking solo artist on the “Billboard Hot 100 All-Time Top Artists” as well as having most number-one singles in the United Kingdom among female artists. Madonna has a record 157 number-one singles across all formats of the Billboard charts, the most for any artist. As of February 2008, she has sold more than 115 million singles worldwide. So happy for the release of Madonna’s 15th studio album!! No one in the world cares about Madonnasaur but white gay men on crystal meth. That is where it counts the most. So her album is named after a band from 1987? Have always supported Madonna but there comes a time when you just have to stop and leave a legacy. A few years ago that legacy would have been golden, at this point it’s pushing tin. Aaah Reminds me of a big blue ’79 Ford Thunderbird, I once knew named ‘Madame X’. Looks good as long she keeps it authentic and not desperate it works!! !